You are currently browsing the category archive for the ‘Peak Oil’ category. Good news from Michael Lynch, appearing August 24 in an op-ed in the New York Times. This whole oil scarcity idea is really off – by a factor of 5, to be exact. Lynch says the consensus among geologists is that there are 10 trillion barrels of oil out there, not a mere 2 trillion, so – relax! Oil is abundant. My relief is palpable. For a while there I thought oil rigs might appear off American coasts or invade ANWR. Or that we would continue to raze mountaintops to burn climate-ravaging coal. Or cause horrendous environmental damage by cooking tar sands. But now we can ease off on all that, because oil is abundant. I do wish, however, that Lynch had settled a few issues he raised, such as why, if oil is so abundant, we keep having to dig deeper and deeper to find less and less of it. And why the advanced extraction technologies he mentions have failed to reverse the decline of even the world’s best managed oilfields. And when exactly our technology will advance to a point that makes “easy oil” out of fields miles down in deep ocean, because right now oil companies are finding it prohibitively expensive and risky. Truth is of course that the “abundance” of oil is irrelevant if you can’t actually produce it when you need it, or get it for yourself when others produce it. The world has an abundance of food, yet something like 1 out of 6 people is hungry and 25,000 children die of hunger every day. And food is dead easy to make and transport compared with oil. This article in the Financial Times says that the threat of an oil shortage is real: in their words: “we are now of the collective view that peak oil is a high-risk, high-consequence issue.” Read and decide for yourself what will happen to the price of oil in the next few years. Creative Commons photo by ccgd via Flickr. A leading energy economist in the International Energy Agency reported today, in an interview with The Independent, that the world’s oil supply has been depleting almost twice as fast as their 2007 projection, and that an energy supply crisis is looming in the next five years that will choke off any economic recovery. “We have to leave oil before oil leaves us,” said Dr. Fatih Birol of the IEA. “The earlier we start, the better, because all of our economic and social system is based on oil, so to change from that will take a lot of time and a lot of money and we should take this issue very seriously,” he said. "Don't leave anyone behind for the wolves to devour"
“The calls for food assistance to our Catholic Worker House have tripled this past month, but last Saturday we had only 1/3 our usual number of volunteers show up to deliver the food… In the meantime, besides delivery, we have another problem, and that is food to give out to the poor. Our delivery this month from the Regional Food Bank was half its usual amount. Instead of about 14 tons of food, we received 7 at the Dorothy Day Center… The Printable Flyers are online. They are basic how-to instructions for coping with severely challenging circumstances. We’re handing out the full set, since we don’t know how far down this is going to go… We’re suggesting that people combine households, move in with each other, especially small households with only one or two people. The way things are going, keeping a household going with only one or two people isn’t going to work well. 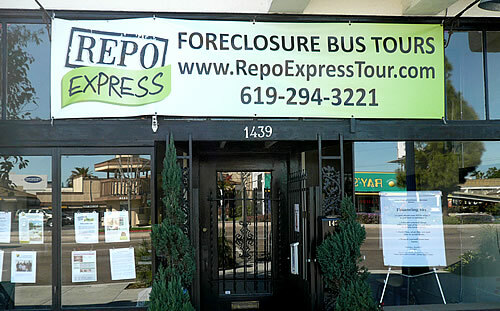 Inflation is running up prices, rents are going up, we’re headed for a big spike in foreclosures. I’ve been getting calls from people I know are middle class and even upper middle class about assistance in meeting mortgage payments. We’ve had to turn all of those down. I tell them to move in with their parents, but there is a lot of denial…. I worry all this will be too little, too late… I wish all this had held off for a couple more years, but oh well, at least we are where we are now and aren’t starting from square one.” Sound like a report on what’s happening today? It’s actually an example of “isthisnotagame”: it comes from an excellent report submitted back in July by jpeaceokc for the alternate reality game World Without Oil. Happy holidays, everyone. Photo by bella love via Flickr. In the wake of Russia’s Georgian victory, a lot of people have taken George W. Bush to task for his statement that he had “gotten a sense of [Vladimir Putin’s] soul” and found him “straightforward and trustworthy” upon their meeting in June 2001. But I for one am willing to take the President at his word. Perhaps the most noteworthy thing that we found out via the World Without Oil game is that oil changes people. People will toss enviro regulations. Without even a second thought. People will try to dump their gas guzzlers (torching them for the insurance if necessary). People will start riding mass transit and bicycles in great numbers. People who are leveraged to the hilt will be devastated financially: repos, defaults, bankruptcies. People who control energy will assert their power to protect their control. People will turn to local sources, especially for food. People will start growing their own food. People will be angry – some, very angry – at being forced to change. All of these changes are happening now, in the real world. Some of them are positive adaptive changes, but others are negative reactions to the prospect of change. What the WWO game enabled its players (and observers, even today) to do: try out those changes in advance. In the same way that a disaster drill allows people to think through the “alternate reality” of a hurricane, tornado, earthquake, or epidemic, World Without Oil prepares us to recognize a calamitous event in its beginning stages and to plan a wise response. These real-world changes are happening because more and more people are sensing the basic market truth: The world wants more oil every day, but the world’s oil production fell below demand in 2005; in fact, the recent increases in production may not even bring us back up to 2005 production levels in 2008. People are sensing that the pipeline leading to their cars and homes is shaky and growing shakier, and many of them are preparing by adapting their lives now. Oil changes people, but for better or worse? That’s up to them. Photo by drp via Flickr. Found this well-titled article in GQ about peak oil. For those unfamiliar with the term, it’s the (inevitable) moment when the supply of oil hits its peak and then starts to decline. Although it seems like it would be an easy moment to recognize, it’s not: Britain’s North Sea oilfields, some of the best managed in the world, hit their peak in 2000, and it took the oil field managers about a year to realize what had happened. The data are even more confusing when you’re talking about global oil production, and thus you have a debate raging right now as to whether we are approaching peak oil worldwide or whether we have in fact already passed it. The peak oil bell curve is often taken for an ironclad rule, and in many ways it is, but it’s useful to remember that its curve essentially plots human behavior. Hubbert’s curve defines how humans extract oil in a relatively free market. Humans can modify the shape of the curve, and there’s some evidence that through advanced extraction techniques, we have been pulling oil forward and extending the top of the curve a bit. What IS ironclad about the bell curve, however, is the area underneath it: there is only so much oil. If you pull oil forward to ease today’s curve, it creates a sharper drop ahead. The term peak oil is shorthand for the abrupt change caused by the shift from an upward slope, when the system encourages people to use more oil, to a downward slope, where the system takes oil away from people, when every day less and less oil is available. What worries people is that, psychologically, this is a potentially devastating transition for humans and societies to undertake with something as fundamentally useful as oil. Easing this psychological transition was what the World Without Oil game was all about. A serious game is the perfect way to broach matters that we’d otherwise put out of our minds. It asked “what if?” and let people imagine what the first temblors of change would feel like. People played for the reasons that Sharon Astyk puts forth in her excellent blog, Casaubon’s Book, and emerged from the game better able to understand where we are, what has happened to Sleeping Beauty, and what we need to do now. Photo by Ben+Sam via Flickr. The city of Stuttgart has announced plans to rent electric scooters from locations around the city. The idea injects an electric jolt into the bike-sharing programs like Paris’ popular Vélib’. The city’s government has inked a deal with British firm Ultra Motor to provide the moped-like vehicles. It hopes to have around 1,200 such vehicles ready for rental and covered charging stations located every 500-600 feet around the city in about less than a year. The LEVs can travel up to 37 miles before needing a charge – which takes about 15 minutes – and have been especially engineered to travel up steep hills. Interested users will be able to buy a monthly LEV subscription for 15 euros ($24), which will provide them with rides up to 30 minutes, a fraction of the price for a monthly Stuttgart train pass. I believe the LEVs are combination pedal-electric: that is, you can pedal yourself as much or as little as you want. More info on the LEV Share program here – coming soon to more cities in Europe. We need to welcome initiatives like these and consider them for American cities, which take oil-burning vehicles off the road and help us make the transition into a more electric-powered and efficiency-oriented (i.e., more sustainable) transportation mindset. First, of course, we have to start making riding two-wheelers safer by cutting back on the car-first design of almost all our streets… Europe has a 30-year or so head start on us on this. Photo by JS North via Flickr. The International Energy Agency gave advance warning that its previous forecast for supply and demand remaining in pleasant equilibrium over the next two decades was flawed. Its new projections, due in November, will say supplies may fall 10 percent short of demand, according to a report in the Wall Street Journal. “Stephen Leeb, an investment manager who has authored two books on oil scarcity, said Russia was already seeing a drop in production, and there’s little evidence Saudi Arabia could increase production even if it wanted to. “If the two biggest oil producers in the world can no longer increase production, that’s a catastrophe, not a bubble,” he said. Others say there’s no way $130 oil is justified. Beutel doesn’t know when that collapse would come, but he predicts it will be within weeks or months, not years. But he doesn’t know just what might bring it about – perhaps the Federal Reserve increasing interest rates or a big drop in consumption as people worldwide can no longer afford to fuel their cars or heat their homes. “If these prices stick, you may see whole neighborhoods where people abandon their homes,” he said predicting that in the Northeast U.S. it will cost $5000 to heat a home unless prices fall. OK, so this is scary. To my ears, this amounts to an admission that what was foreseen in the WWO game is indeed on the way. One of the experts says oil supply has failed, and so there will be a “catastrophe” as people worldwide run short of oil. The other expert says, no, the “catastrophe” is the high prices, which will cause people worldwide to abandon their cars and their homes. Either way, catastrophe ahead? Photo by gruntzooki via Flickr. People in the U.S. are starting to talk about drilling again – in ANWR, off the coasts, anywhere – and that always makes me think of Frank Sinatra. Or more precisely, his performance as a heroin addict in the movie The Man With The Golden Arm. 1. No oil will actually be produced for about 10 years. 2. When it is produced, it will be sold at market rate to the highest bidder. 3. When it is produced, it will be a trickle meandering through a mostly dry riverbed. The world will be running on 20% to 50% less oil than it is today, and the new oil won’t even offset the continuing slide. So the perfect analogy would be the drug addict who steals his child’s piggy bank to pay a runner who will go off for ten years then return with a tiny bag of dope which he will sell to the person who can best afford his astronomical price. Someone who can afford to pay multiple times what we are paying now. So I can understand why owners of private jets are all for drilling, because they have a huge sum invested in their jets and you’ll never fly a jet on alternative power. And of course Big Oil is pushing for it (played by Darrin McGavin in the movie). But for the average person, drilling makes no sense. But then, neither does addiction. Here in the real world, the Petro Razor is also busy. I think a lot of its work has been masked by the subprime mortgage crisis, and certainly the two are working together to cruel effect. But hearing about the rise in abandoned pets and children’s activities being cut and people hiring hoods to torch their gas guzzlers and people setting fire to gas stations in protest and so on, sounds to me like the keen snick-snick-snick of the Petro Razor. Photo by I See Modern Britain via Flickr. As the effects of high fuel prices play out around the world, many people are commenting on the predictive power of the World Without Oil game – and it is remarkably eerie to see the events described by WWO players appear in real-life headlines and news stories. But the real power of the game, I feel, goes beyond anticipating external events – i.e., telling the external truth of our relationship with oil. The real power is in activating internal truth: enabling people to see events and understand their connection to petroenergy. To pirate an old saying, telling external truths is giving people a fish, i.e. feeding them for a day; enabling internal truthtelling is teaching them how to fish, i.e., feeding them for life. As an example, let’s look at a comment to the previous post by WWO player PeakProphet: he relates his experience trying to find a home for two abandoned puppies. This is not a story that on its face has anything to do with oil. But once he scratches the surface we see it has everything to do with oil: $4.50 gasoline has really impacted people in rural areas; many families are seriously stretched; pets are expendable. And PeakProphet knows from the WWO game that the oil crisis burden will not fall equally, that alas it will fall mostly on anyone less able to scramble out from under it: the poor, the sick, the stretched, and yes, the defenseless family pet. From two half-starved puppies we come to see an entire region overloaded with abandoned pets, and thus we begin to apprehend the ways in which our oil crisis has already kicked the legs out from under so much that we take for granted. “Tiny Little Kitten” by TrekkyAndy via Flickr. One of the core messages of World Without Oil is that happiness does not depend upon petroleum (but unhappiness may). Think, for example, of a highway gridlocked with solo drivers, each of whom would identify “loneliness, isolation” as the thing that is making them the most unhappy. Here’s a perfect example of what we’re talking about: check out what the New Digital History Education blog has to say about the Ciclovia idea, and then watch the video by StreetFilms. There are elegant solutions to a world with less oil. More X for less energy! Everywhere I go in Sweden, I see messages about energy. Car ads list fuel types first, car names second. Car magazines splash “Diesel Sport!” on the cover. New buildings have huge banners on them touting their green designs. Even the toilets have their message. I encountered one that has a Stop button – stop flushing, that is. Another had a dual flush button – one for a big flush, one for a small. Which may seem puzzling for a country that doesn’t have much of a water problem, until I remembered that moving water around is one of the prime energy drain (so to speak). Back in California, it is the state’s single biggest energy use, for example. The Tunnelbana – the subway – works like a dream. It’s pleasant to ride and efficient. And it’s growing: the land around my hotel is all torn up for a new spur line to be added. The thing is, Sweden has a plan – it wants to wean itself off petroenergy by 2015. And the first step is to make efficiency a priority. This bus advertisement (at right) really summed up the attitude: whereas in the US it would probably read “Get more X for less money!” here in Sweden it reads “Get more X for less energy!” That is a profoundly different mindset, and one that the World Without Oil game is helping to promote. ….possible within two years, says Sachs Goldman via Bloomberg and widely reported. Folks, less than a year ago “$200 a barrel” was shorthand for catastrophe. Witness our fellow simulation, OilShockwave, which in September 2007 posited a global geopolitical crisis precipitated by oil at $150 a barrel. The Colbert Report takes on James Howard Kunstler, who is the John the Baptist figure of peak oil – a voice that’s been crying in the wilderness for a long time, that is. For all the talk about Kunstler’s new book, “World Made By Hand – A Novel,” nobody seems to be talking about it as a fictional work – as with the World Without Oil game, it’s a veneer of fiction painted on a cold hard potential reality. Watch the Colbert report segment. Cherie Davis’ article about World Without Oil in the Turlock Journal brings up a point to ponder: the particular vulnerability of exurbs such as Turlock to an oil shortage. Turlock’s recent growth is largely due to people fleeing the housing pressure cooker of the San Francisco Bay Area, and an awful lot of people in Turlock need to get to someplace else pretty far away on a regular basis, and do so by putting fuel in their cars. What happens when the fuel becomes unaffordable or simply unavailable? This video by Kaivido wasn’t done for World Without Oil, but it sure could have been! As reported in the Gonzaga U. paper today. “The current surge in the price of oil is certainly not driven by a conviction that oil supplies have peaked and can only decline from now on. The dealers in the London and New York exchanges who make the market react to the daily flow of news and don’t bother much about longer term issues like peak oil. The market is a simple-minded beast: Supply is tight and disruptions are possible, so the price goes up. But the market is so tight because demand has been growing faster than supply for years, and now the fear is that supplies may have stopped growing altogether.” Read the rest here. Oil at $100 a barrel? Why not? Take a look at the preview of this article in the WSJ (subscription needed to read the whole thing, but the gist of it is freely available here). This is essentially a validation of the formative assumptions of WWO: that oil demand is strong and getting stronger, while oil production is weak and getting weaker. What force is there to prevent a rupture between the two? The U.S. Military discovers peak oil. A game? Maybe not so much. Thanks to our very own Marie Lamb (Gracesmom) for finding this one: scientists rebuke oil industry forecasters, question rosy forecasts. And check out the headline they gave it… coincidence?